It’s time for my first post from New York City! As last week was filled with my first steps at my new job, battling a very defensive jet-lag and searching relentlessly for a nice apartment, the weekend was a welcomed break to recharge my batteries. I know I told you I would post about Paris again for a bit, but the spirit of Halloween was so strong in Greenwich Village that I couldn’t resist sharing with you a few fun finds seen along the way. 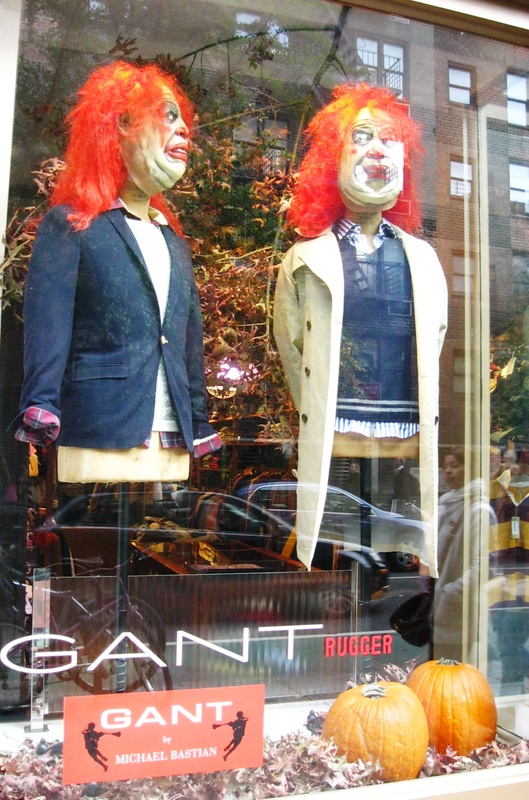 Even the high-fashion stores celebrated Halloween. Who said fashion needs to be serious? It was fun to see the different windows brands had created for their adult and children customers. 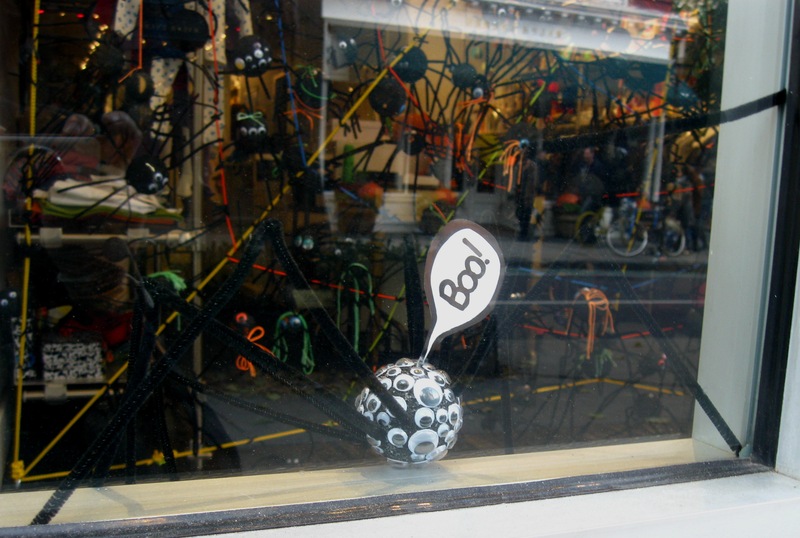 Marc Jacobs was taken over by an army of scarecrows covering the display for his new fragrance Bang, while cute spiders (yes, those do exist!) 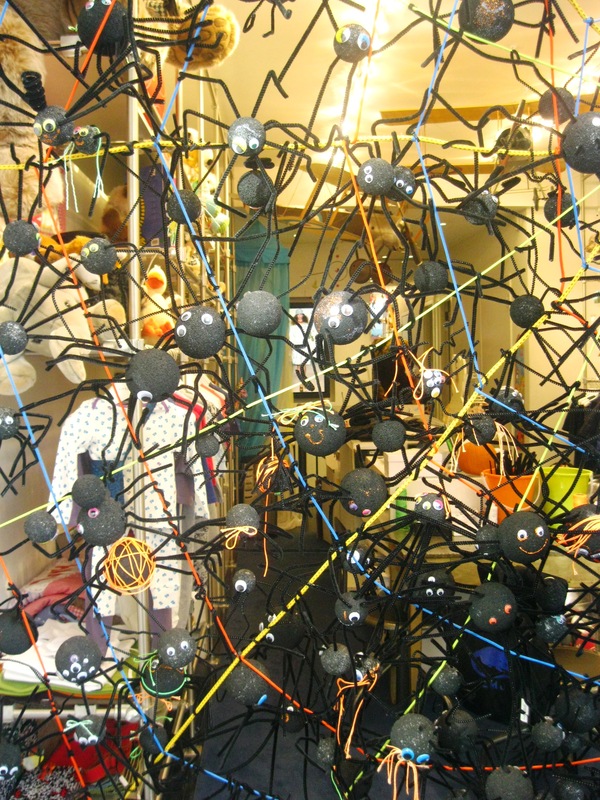 were tangled in a playful web at Little Marc Jacobs. 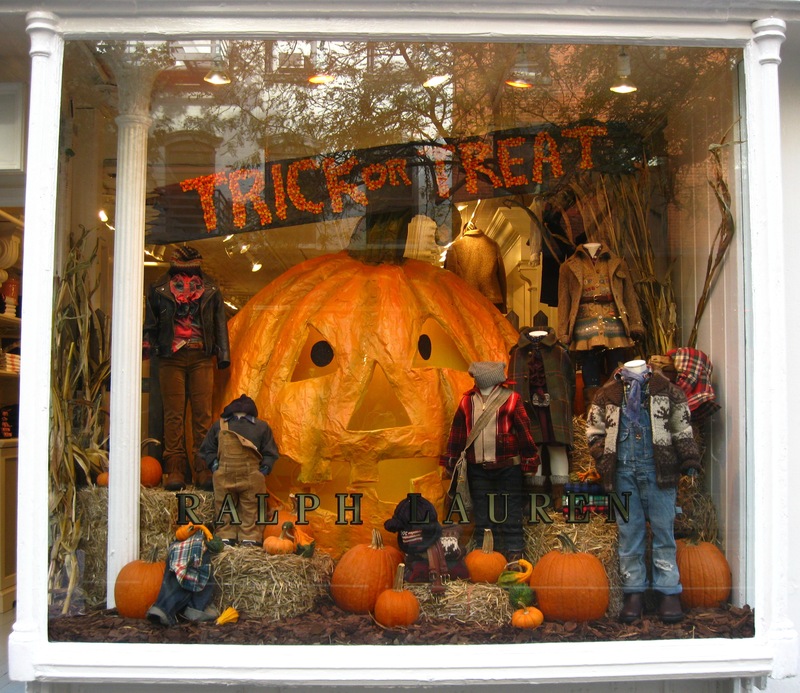 Ralph Lauren was all about pumpkins: a giant Jack-o’-Lantern for the kids and elegant arrangements for the bigger kids. 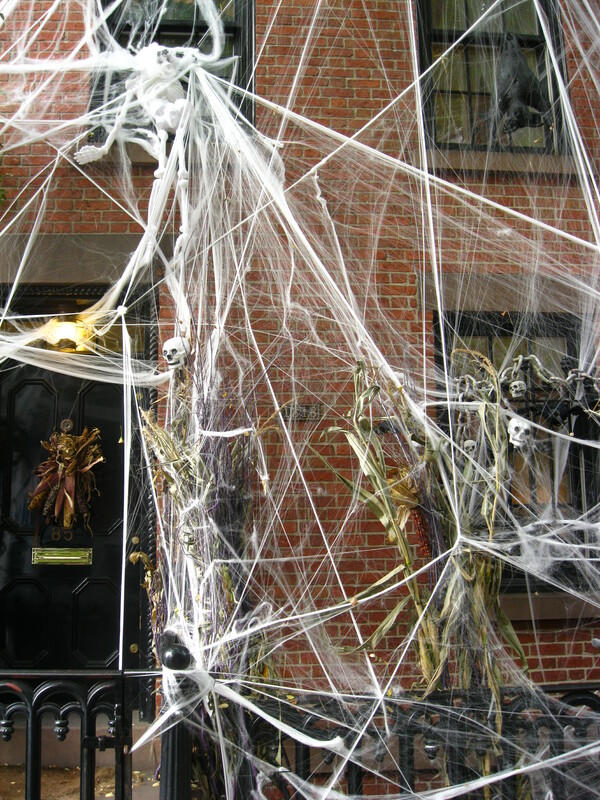 New Yorkers obviously pride themselves in demonstrating their creativity during Halloween and whether it is through disguises or home decoration, it is a sight to see! 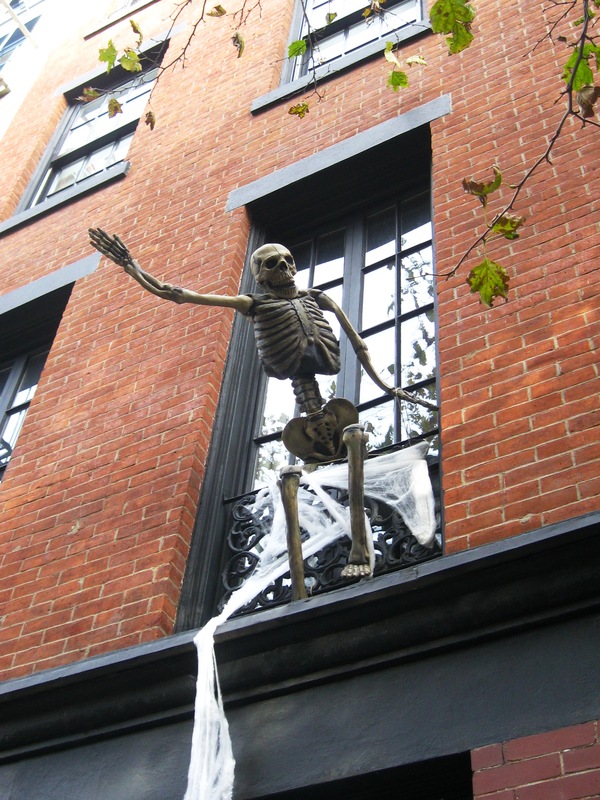 I suppose this skeleton is hailing a Yellow taxi? 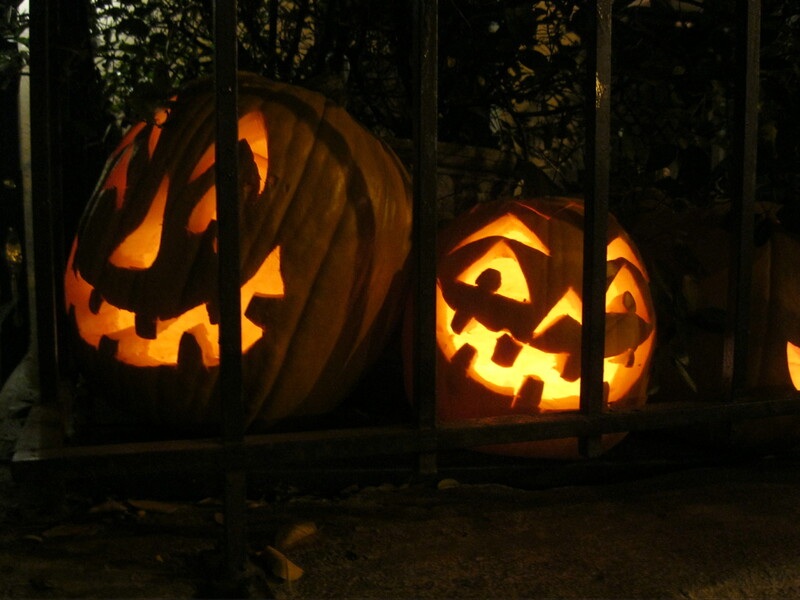 The carved pumpkins convey an almost eerie feeling with their hollow eyes and wicked smile. 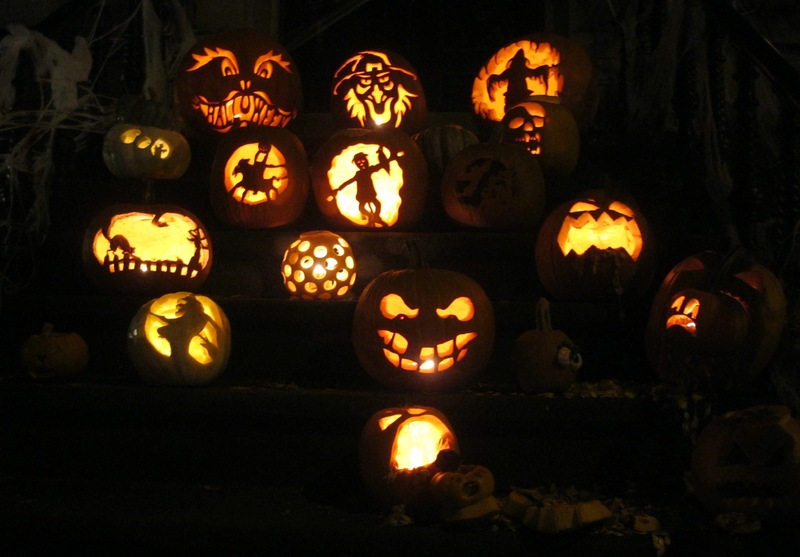 That said, walking up a street lined with Jack-o’-Lanterns is both exciting and heart-warming, especially when they have an extra touch of creativity! It almost makes you want to celebrate Halloween every day, no? Le temps est venu pour moi d’écrire mon premier billet de New York! Comme la semaine dernière a été consacrée à mes premiers pas dans la vie active, la bataille contre un méchant jet-lag et la recherche d’un toit, le weekend a été accueilli à bras ouverts ! Comme je vous l’ai dit j’ai encore quelques billets sur Paris en stock, mais lorsque j’ai vu l’engouement des Américains pour Halloween en me baladant dans Greenwich Village, j’ai voulu partager avec vous ces quelques photos. Même les boutiques de luxe célèbrent Halloween ! Comme quoi le petit monde de la mode sait faire preuve d’humour. C’était amusant de voir les différentes vitrines des marques pour leurs lignes enfant et adulte. Marc Jacobs par exemple se l’est jouée animal avec des corbeaux recouvrant le décor de son nouveau parfum Bang alors qu’une toile d’araignées insolite envahissait Little Marc Jacobs. 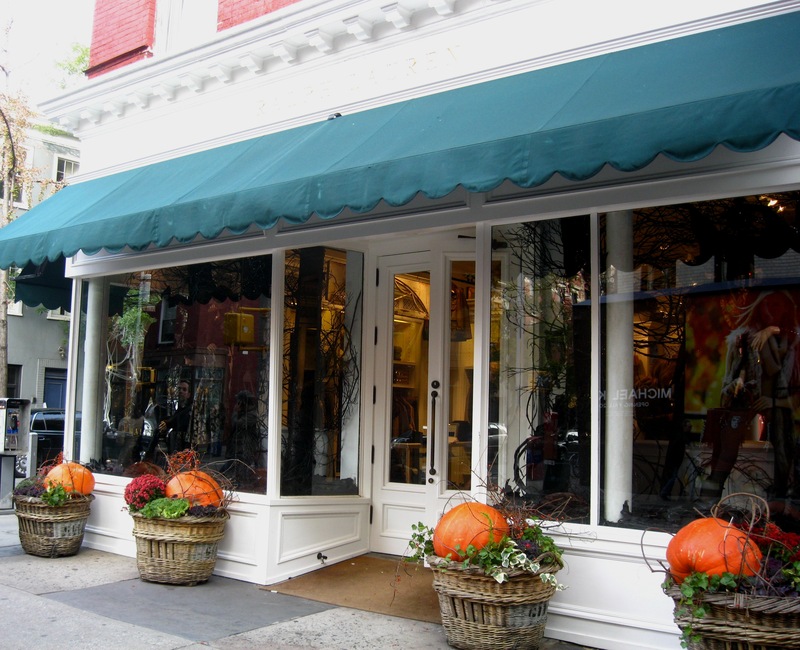 Chez Ralph Lauren, c’est le royaume des citrouilles chez les kids comme chez les grandes personnes. Pour Halloween les New-Yorkais jouent le jeu à fond avec une créativité débridée. La décoration extérieure des maisons est particulièrement à l’honneur, comme ce brownstone recouvert d’une toile d’araignée factice. 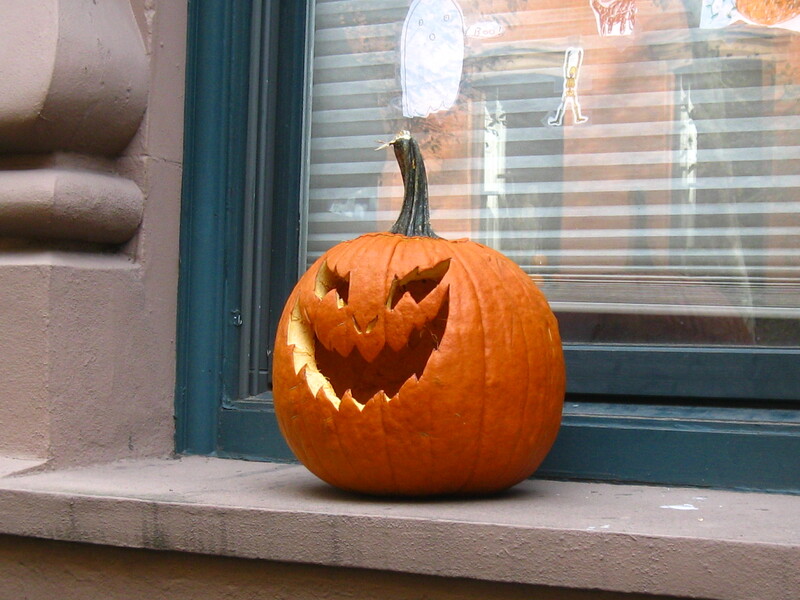 Les citrouilles sculptées ont un air inquiétant avec leur regard vide et leur sourire figé, mais une fois la nuit tombée, elles s’illuminent pour mettre en valeur des œuvres parfois recherchées. On aurait presque envie que ça dure toute l’année, non ? It has gotten easier, thanks! At least the place where I’m staying while I’m looking for something long-term is nice so I told myself I shouldn’t be in a rush and take the time to look for something I really like. Oooh, these are such wonderful pictures! What a way to spend your first week of exploring your new city. I love all the pumpkins, and those cobwebbed skeletons are brilliant! Although there are attempts to celebrate Hallowe’en in England, they’re rather meagre (I didn’t get a single trick-or-treater). That said, Cambridge is a wonderful setting for it – my Hallowe’en feast felt like Hogwarts! Hope you’re having a wonderful time there. I can imagine! From what I saw on your post about Cambridge, the city looks like the perfect décor for Halloween with the old cloisters and halls. J’espère que vous aimiez beaucoup New York! J’ai entendu qu’on n’a pas beaucoup de fêtes d’Halloween en la France… si c’est vrai, c’est dommage, mais au moins vous pouvez fêter ici maintenant ! C’est vrai, il n’y a que les enfants qui fêtent Halloween à l’école en France, et ils ne vont même pas demander des bonbons dans la rue. C’est pour ça que j’apprécie encore plus la fête ici! Tout le monde était déguisé dans NY ce WE, toutes générations confondues, même pour faire les courses. 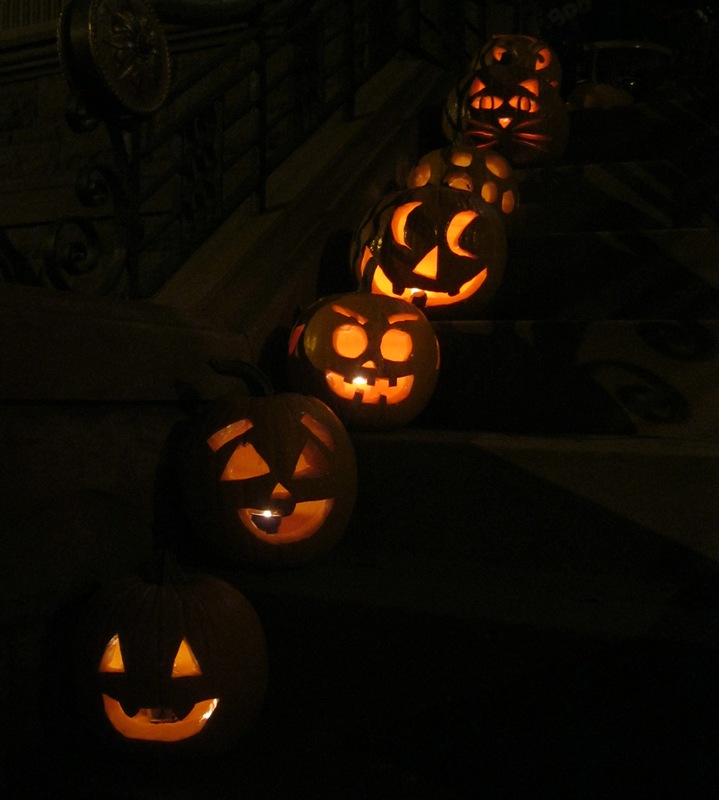 One of my favorite Halloween decorations is when people get a whole bunch of jack o lanterns together in one place – like the ones on those steps. It’s so festive. One day, when I own a pumpkin patch, I’ll try that. (In the meantime, it’s way too expensive to buy more than three decent-sized pumpkins). 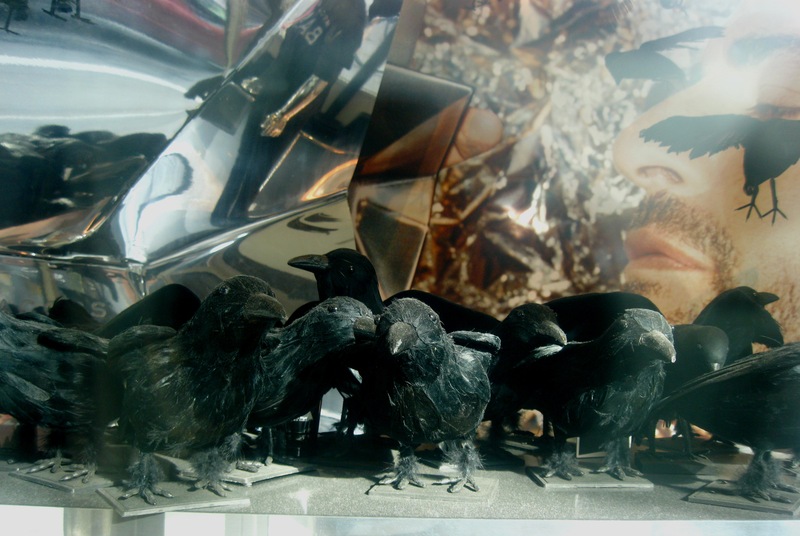 Those store window displays are fantastic. I only wish I could have see them while they were still up. Welcome to the East Coast, by the way! 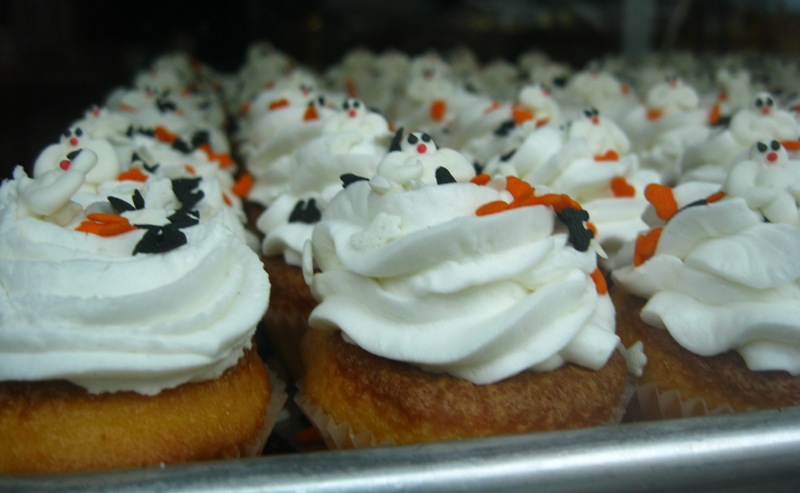 I´m so jealous I would have loved to be in New York during Halloween. I love that city. Congrats to the new job by the way. Thank you! Now that I have more time on my hands since I just found a place to live, I’m starting to have a good list of things to share about NY, but if there’s something you’d like to see in particular, please do tell! 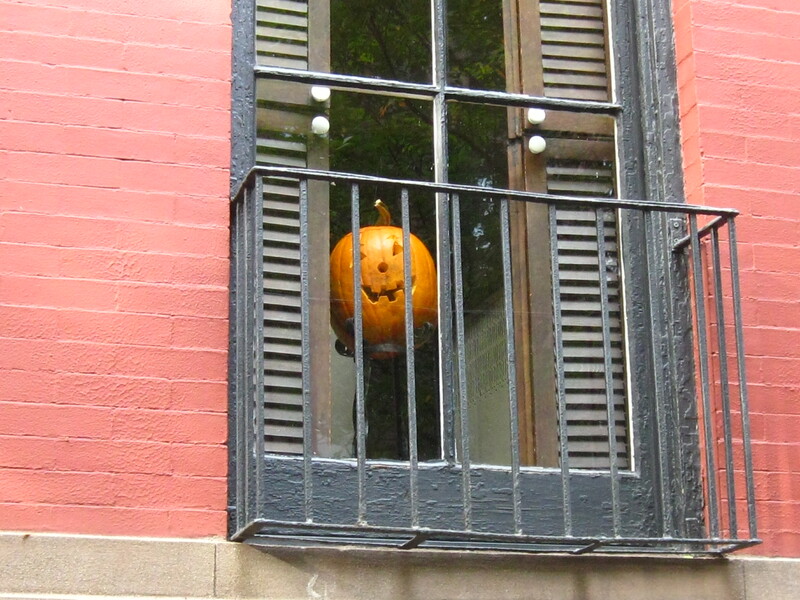 Ah man, halloween in New York is certainly something to behold! I had my first “real” halloween there and it’s been hard to get accustomed to the lack of festive fare back home in australia. I hope you are enjoying NYC!! 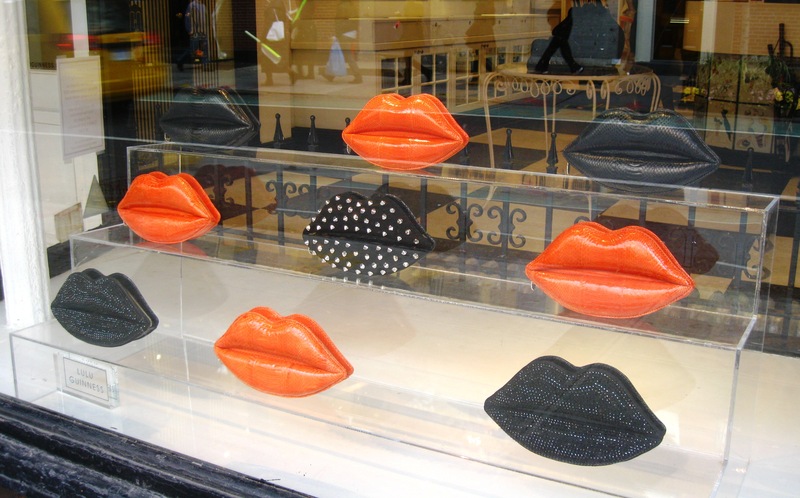 Hey j’ai trouvé ton blog via the fashion spot. Ah ça en fait de la citrouille, ça donne pas la même chose halloween en VO. Mince! La gravure sur citrouille, c’est tout un métier. On sent la passion qui émane de ces cucurbitacées. Sont forts les ricains. J’étais encore à Londres au moment d’Halloween, et c’est clair que les angliches sont moins friands de la pumpkin que nos amis outre-Atlantique. Parce que bon, faut dire que c’est un truc bien ricain, Halloween. Les angliches s’en servent juste comme prétexte pour faire la fête. Comme s’ils avaient besoin de prétexte. C’est pas comme s’ils sortaient tous les soirs faire la nouba.